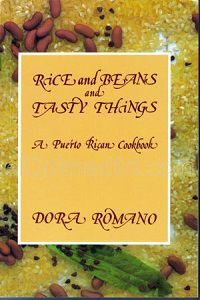 Author: Dora R. Romano, From the creator of Cocina Conmigo, she brings the english version of Cocina Conmigo a best seller of puertorican cousine for more than 25 years. A must have for the perfect puertorican cookery. ©1998-2018 elColmadito.com® de Puerto Rico, Inc.
All Rights Reserved 1998-2018 / Todos los derechos reservados 1998-2018.